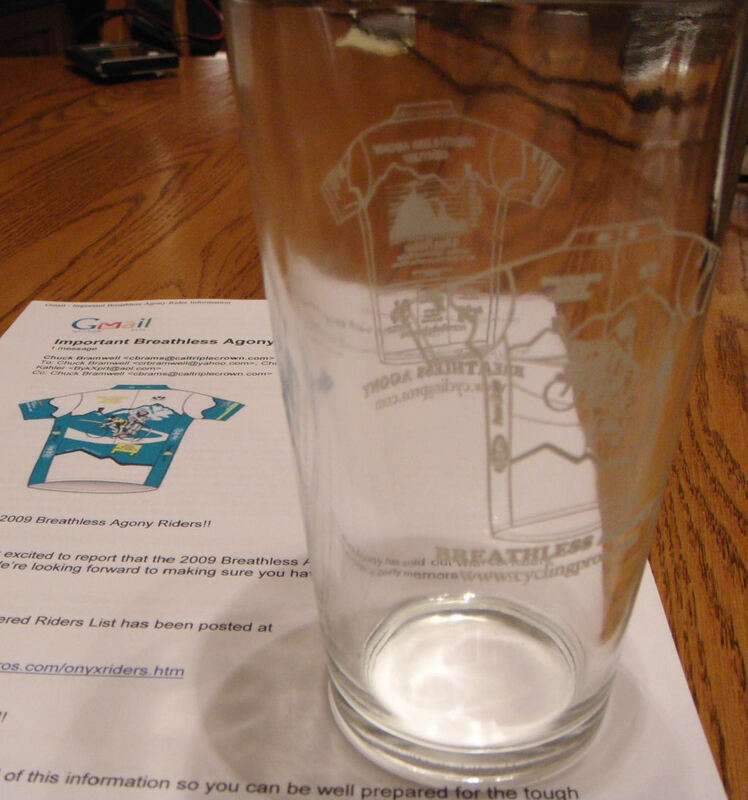 Each rider starting the Breathless Agony Ride will receive this beautiful etched glass to help them remember their "Breathless Agony". 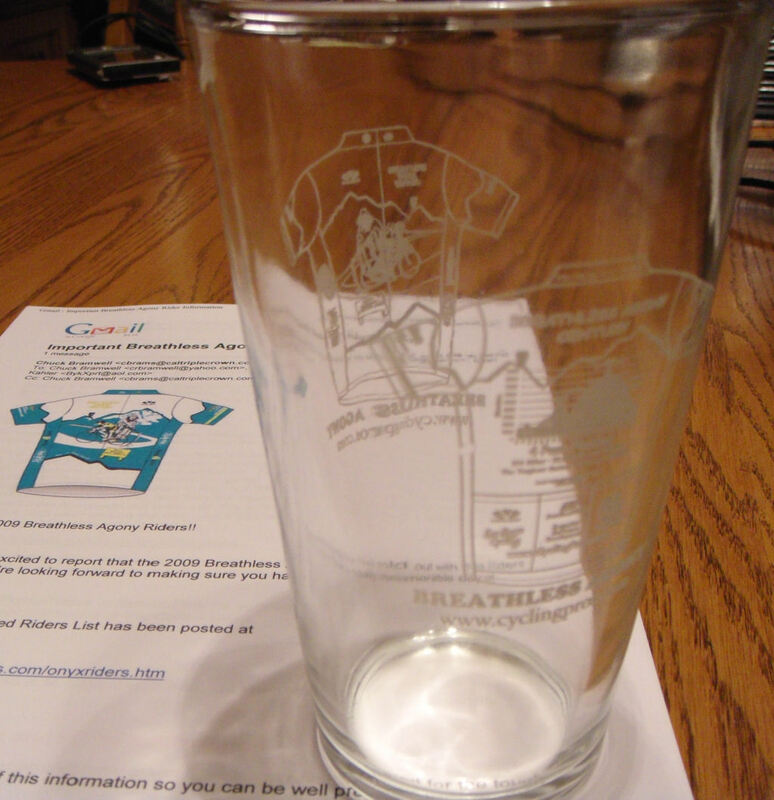 A beautifully detailed image of the Front of the Breathless Agony Jersey is etched on the Front of the Glass followed by "Breathless Agony" and "www.CyclingPros.com"
A beautifully detailed image of the Back of the Breathless Agony Jersey is etched on the Back of the Glass followed by "Breathless Agony" and "www.CyclingPros.com"
This is a 16 Ounce clear pub glass with thick base perfect for your Post Ride Recovery Drink, Breakfast, Lunch, or Dinner. It would also look great on your desk and become a fun talking point.